2019 asks: To harvest, or to plant? Aquarius, we can start the 2019 horoscope with a metaphor. If you have a sack of grain, there are basically three options for its use. First, grind the grain and bake bread from the flour. The second option is to let the grain (barley) ferment and distil the "base", which should rest in the barrel for several years, where it gradually turns into a quality whiskey. Finally, the third option is to return the grain back into the soil and let it grow next year. The benefit is not direct, but the future harvest and profit potential will multiply. It is not up to us to advise you which way to go. 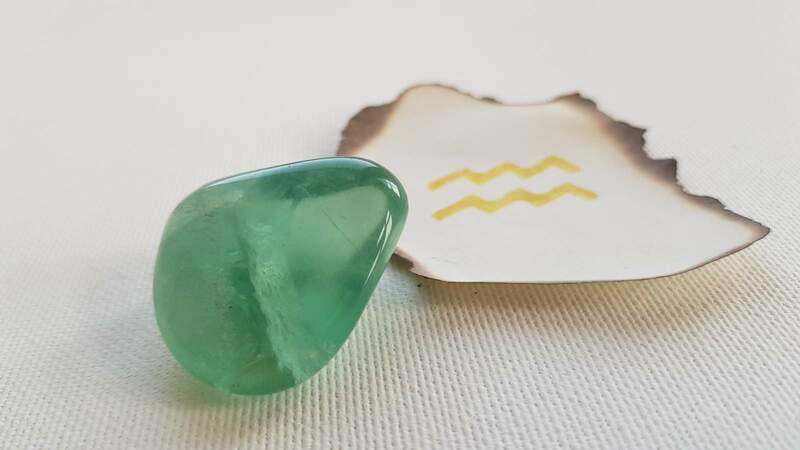 However, the horoscope reminds us that people born in Aquarius have significant potential in 2019, a supply of energy that can be compared to a "sack of grain". And it would be a pity to "consume" or "distil" all the power and entrepreneurial spirit that can create the basis of the harvest even for the years to come. Aquarius should feel like a diligent ant, who, together with others, can build a great work (anthill). Aquarius will also be forced to overcome some fears. Events of 2019 may, of course, cause goose bumps and send shivers up and down the spine, but if you look back into the past, you will find that life 100 years ago or earlier was much harder than today. So you will take a deep breath and accept the present situation as an obvious test of fate. Horoscope also predicts that in 2019 ambition of Aquarius will awaken and Aquarius may feel the urge to cultivate innate talents as well. Refining your skills of all kinds will be your priority. It may take shape of the desire to participate in a TV talent contest show, Jeopardy!, to depart on a study stay abroad, or to engage as a leader of a local community that helps people meet and organizes their free time. Aquarius will also be successful at managing their time and tasks better than ever before. If you like trophies (medals, cups, or even deer antlers), the horoscope says you´d rather prepare for sagging shelves loaded with all the awards Aquarius will obtain in 2019. In addition to the manual skills of Aquarius, which will undoubtedly be dazzling, you should also focus on language. Maybe you do not have the "golden voice", but in 2019, according to the horoscope, smooth talk will be very typical for Aquarius. Your eloquence and ability to formulate thoughts and express feelings will simply be excellent. And if you had problems with speaking in public or to colleagues or at work before, the horoscope suggests that you may expect a major turnaround. With a little exaggeration, we can say that your name will be recorded in history next to famous Greek rhetoricians such as Demosthenes or Socrates. Back to the ground, the horoscope underlines that people born in Aquarius usually do not intend to influence masses. You do not aspire to achieve a new entry in the Guinness Book of Records with a public speech lasting more than 7 hours (as it happened to Fidel Castro by the way). In 2019 the greatest joy of Aquarius will be something much more modest – when you manage, while having a dinner, to conjure up a smile on the face of a beloved person. Love of Aquarius in 2019 will be marked with a "plus" sign. According to the horoscope, Aquarius will definitely be among the most active zodiac signs regarding emotions. Surprisingly, however, Aquarius people will not "fly in the clouds", but they will pragmatically "stand on the ground with both feet ", even in such a tricky field as love surely is. The horoscope also admits that Aquarius will be able to overcome old sorrows, above all, an unhappy love from the past. We recommend to go on an "emotional vacation" in 2019. Aquarius, you may have already noticed that when you concentrate on some activity with all your might, you often achieve the opposite (read more). Aquarius, the career horoscope tells us that 2019 may unveil an extraordinary source of new ideas. The emergence of such new key concepts can shape your plans and career for years to come. Just as the first morning rays of light give the brief outline to a landscape, the enlightened ideas of Aquarius will determine the character of the whole 2019. By being able to rely on your heart to the same extent as on reason, your work will be truly fulfilling and joyful; Aquarius will find a true life "mission". 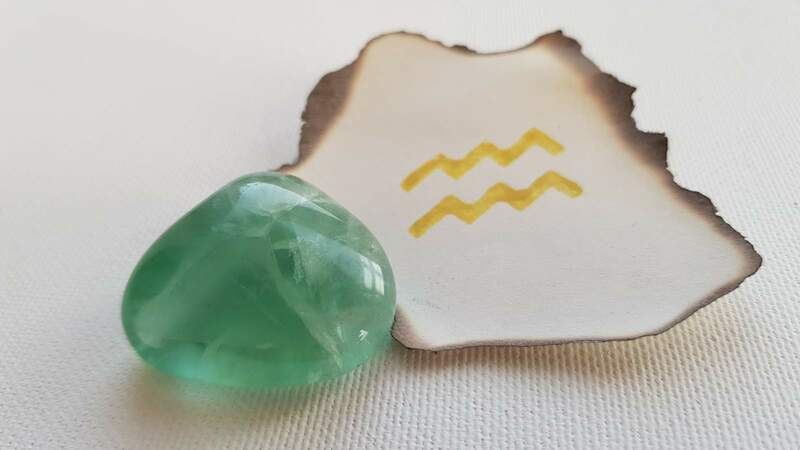 The career of Aquarius will be connected with an independent but at the same time adventurous enterprise that will leave a deep imprint in the memory of all participants. You'll even appreciate the "bumpy" terrain that's about to appear all around (read more).